Enjoy the Florida lifestyle in this updated spacious Ranch style house! Large living room w/ real wood burning fireplace, formal dining space, extra large kitchen with island, large family/den/office room with French doors to the pool area. Roomy pantry/storage and indoor laundry room opens to pool area, perfect for keeping your pool and patio essentials!. The master suite includes vaulted ceilings with high wall windows, huge closet, plus double doors which open to the fully screened-in patio, pool and in-ground hot tub! Bedrooms have extra large closet space; house also has bonus attic storage with pull down stairs and a backyard storage shed. 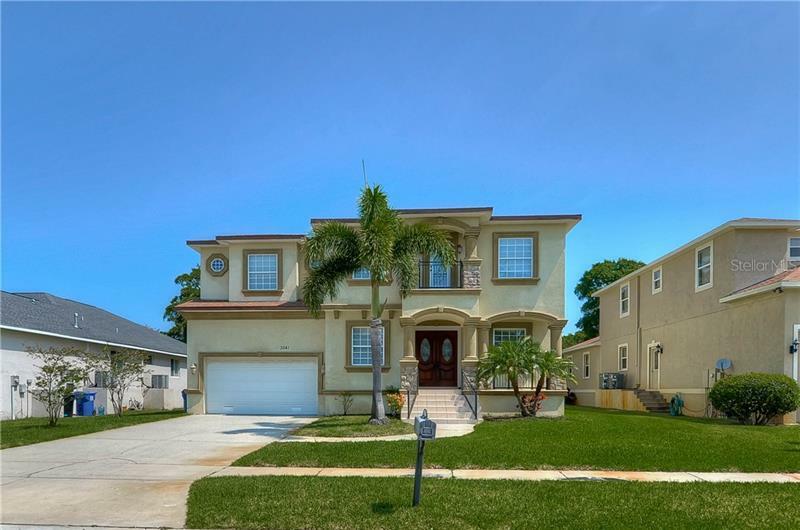 Located in the family oriented Azalea Park area, Pinellas Trail is only half a block away! Situated in between the brick lined Park Street / Jungle Countryclub neighborhood, Treasure Island Causeway, Admiral Farragut Academy and the Tyrone Mall shopping district. Gulf beaches, water sports, a wide array of shopping options, picnics, recreation and sports activities, all minutes away!. Very family-friendly, walking distance to elementary and middle schools and one block from the lively Azalea Park recreation facilities. Room for Boat and RV parking. Many updates inside and out, including the Front door, pool filter, spa pump, well-water irrigation and chimney cap in 2018. New roof in 2011. A/C- 2012/Compressor 2018.